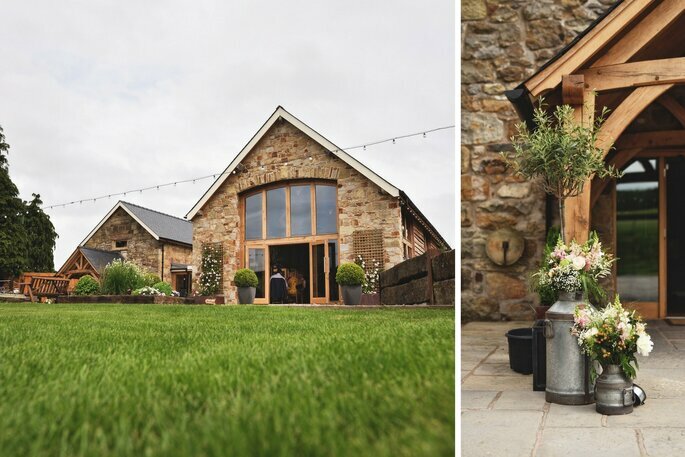 Nat and Kate celebrated their WWII themed D Day in a fairytale farmhouse venue in Wales. 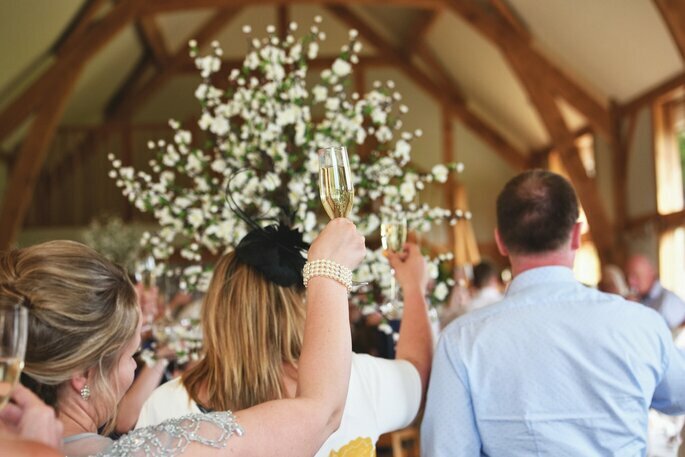 From canapés to posh 'fish and chips', this truly British celebration of their love was a great success and a beautiful day for all. 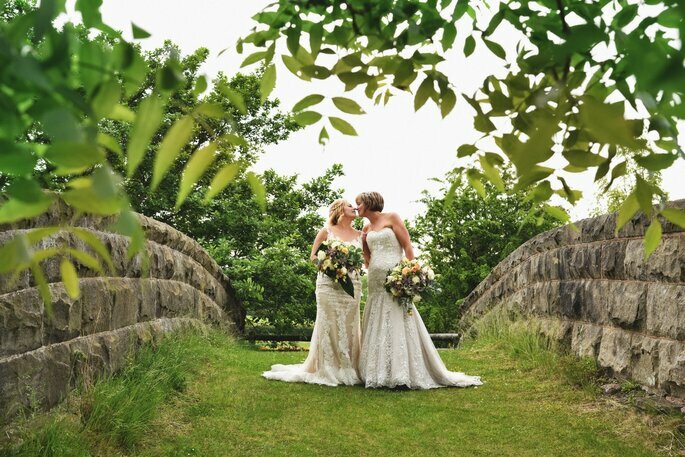 Nat and Kate, from Cheadle in Staffordshire, celebrated their WWII themed D Day in a fairytale barn venue in Llangollen, Wales. 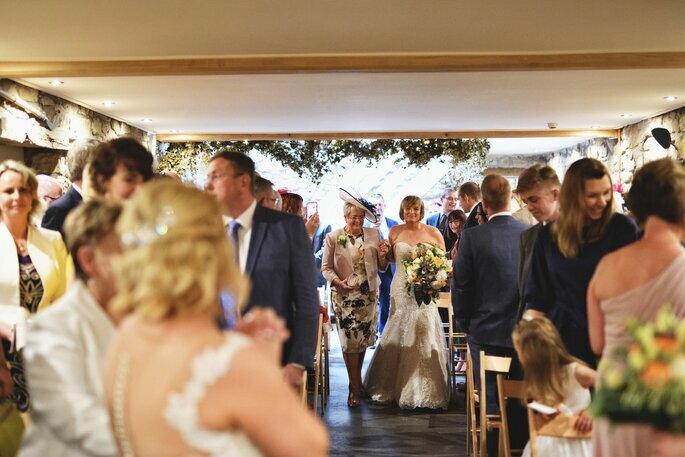 From canapés in the sunshine, to posh ‘fish and chips’, this truly British celebration of their love was a great success and a beautiful day for all. 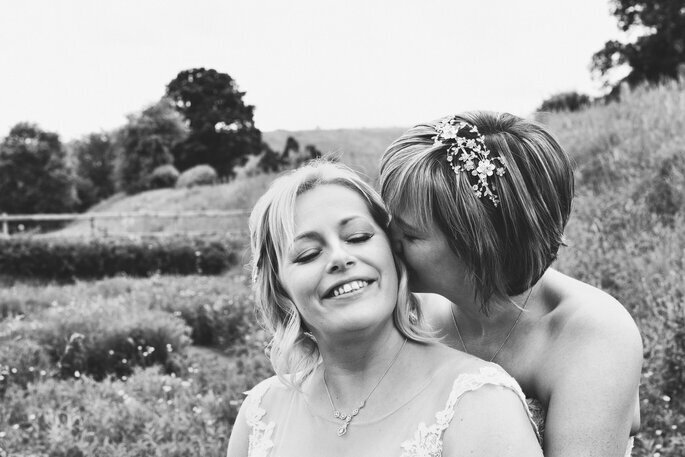 Nat first met her bride-to-be, Kate, at a business networking event, since both of them run their own companies. After many happy memories shared as a couple, she proposed to Kate on her birthday on 16th July 2015, with a series of romantic birthday gifts. The first gift, a back scratcher, was kept simple. The second gift was an engagement ring personally designed by Nat, followed by a surprise party with loved ones. And the third present was a getaway to New York! 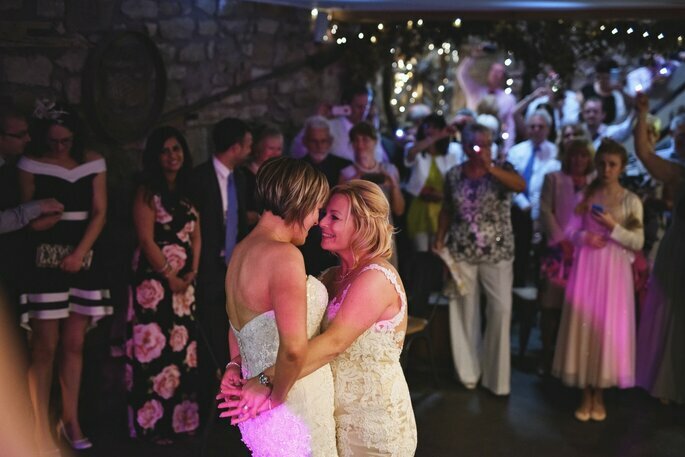 Nat and Kate decided not to look at local venues but further afield in Llangollen, Wales, a place that holds a very special place in their hearts. 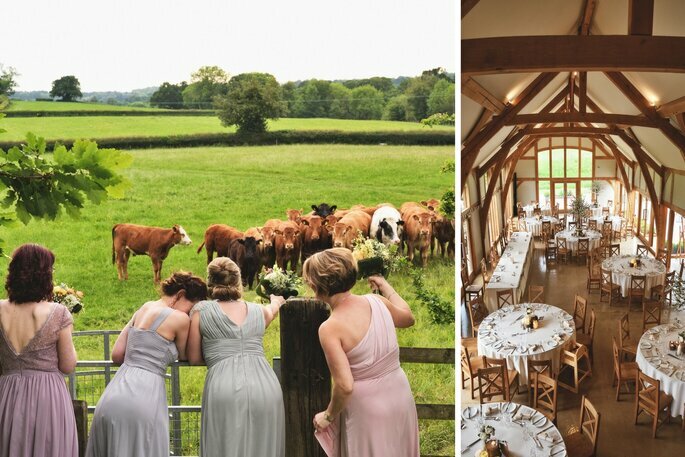 The day was made extra special because it meant that their guests all made an effort to travel to their venue, which was Tower Hill Barns. The two brides-to-be took their dogs Tugger and Tilly to check out the venue, and straight away knew it was meant to be. 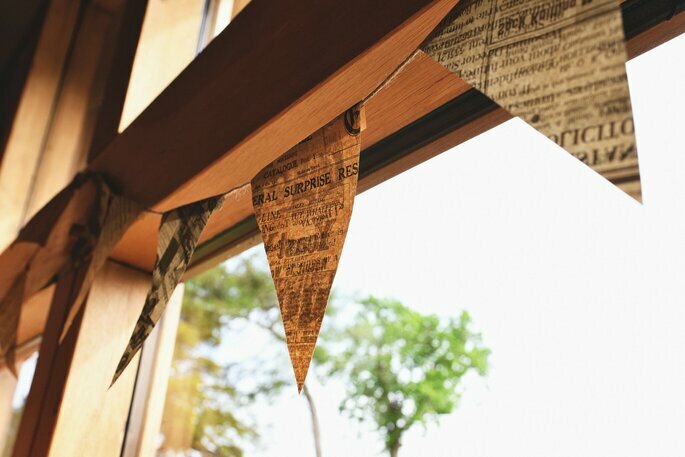 They secured the idyllic Sunbank Holiday Cottage for the whole wedding party, it was perfect! On the morning of D Day, Kate and Nat stayed in separate accommodation so as not to see each other before the big ‘I Do’. Kate walked down the aisle first with her mum to the piano version of ‘Ludlows Lullaby’ a song from one of her favourite films ‘Legends of the fall’. 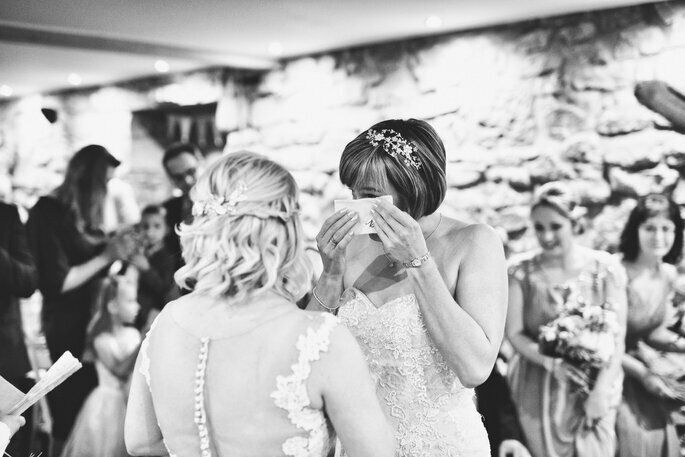 Afterwards, Nat walked down the aisle with her mum to an acoustic version of ‘One day like this’ from ‘Elbow’. The ceremony was emotional to say the least! Tears were shed as Kate and Nat exchanged their beautiful vows, and there were brilliant readings from Kate’s brother Dan and Nat’s sister Zoe. Following delicious canapés, heartfelt speeches and a sumptuous fish and chips meal, the couple shared their first dance together. 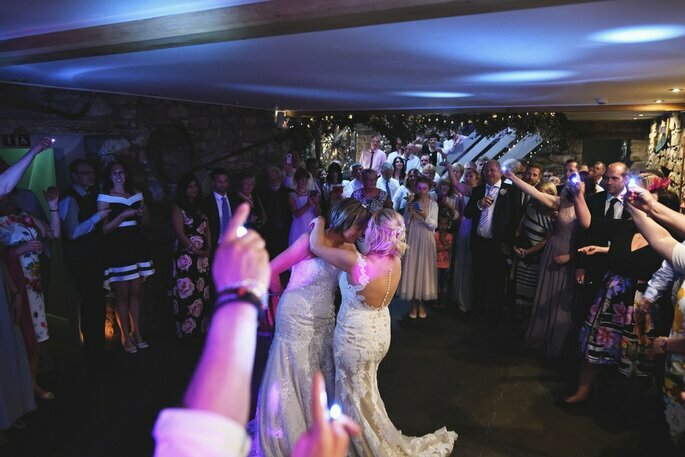 The song was “Flashlight” by Jessie J, and Kate had secretly organised for all of the guests to wave twinkling lights, much to Nat’s surprise! It was an emotional moment that everyone will cherish. As with any wedding planning process, there were a few obstacles that the couple encountered along the way. Firstly, the distance between their home and their venue made things a little difficult, but that was expected. Also, Nat’s ‘Best Girl’ Nicole lives in Shanghai, and so it was tricky for her to make the trip (especially over Chinese New Year), but she made it to the Sten Do (Stag + Hen Do) and of course the big wedding day. 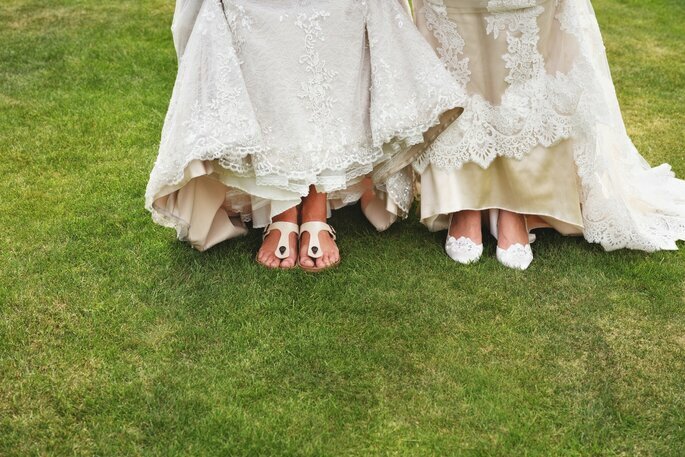 Another difficult factor was the 8 inch height difference between the two brides, so finding the perfect footwear was a logistical nightmare! 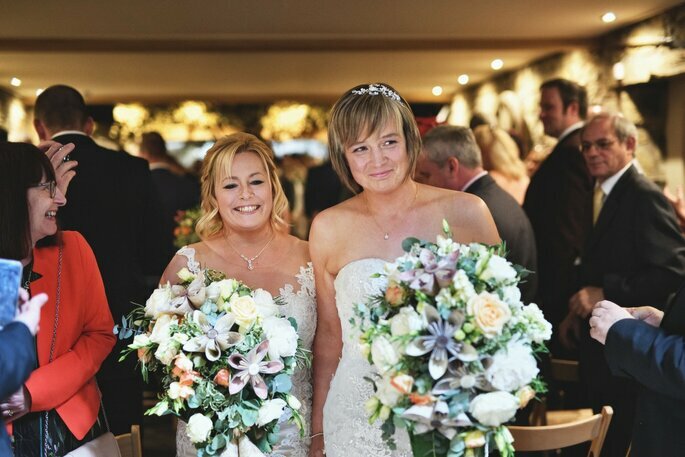 Nat and Kate were very grateful to Nat’s sister, Zoe, who not only made their special wedding cake, but also transported it to Llangollen with 35 handmade icing roses, which she assembled during the celebration! Nat and Kate’s WWII themed D Day was pulled off perfectly. 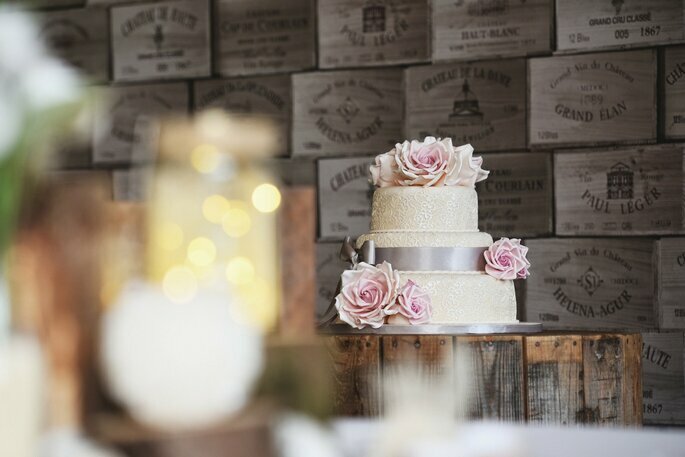 With such a unique theme, many of the barn’s rustic-chic decor was carefully hand-crafted. 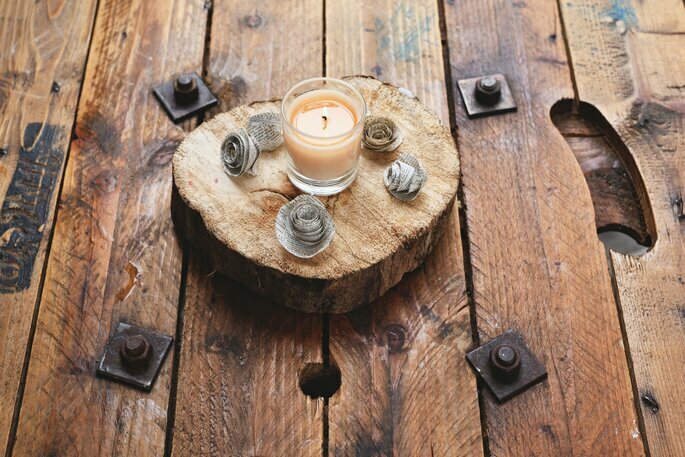 With newspaper bunting, lots of romantic candles, and a load of handmade paper flowers made out of the couple’s favourite books from Llangollen, this wedding had a wonderfully personal touch. 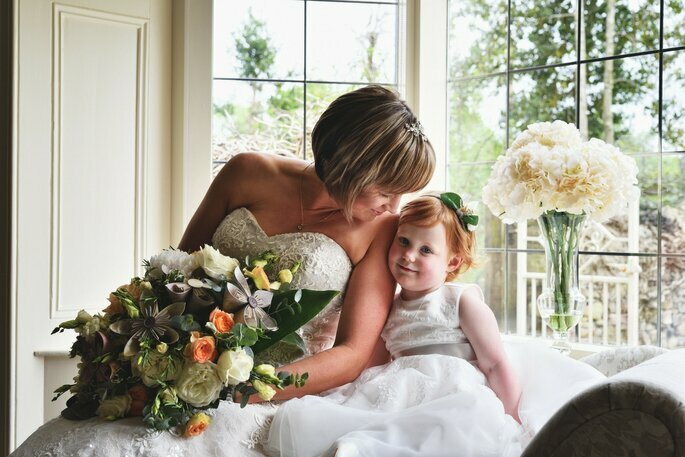 We hope you have enjoyed hearing all about this lovely wedding day as much as we have. 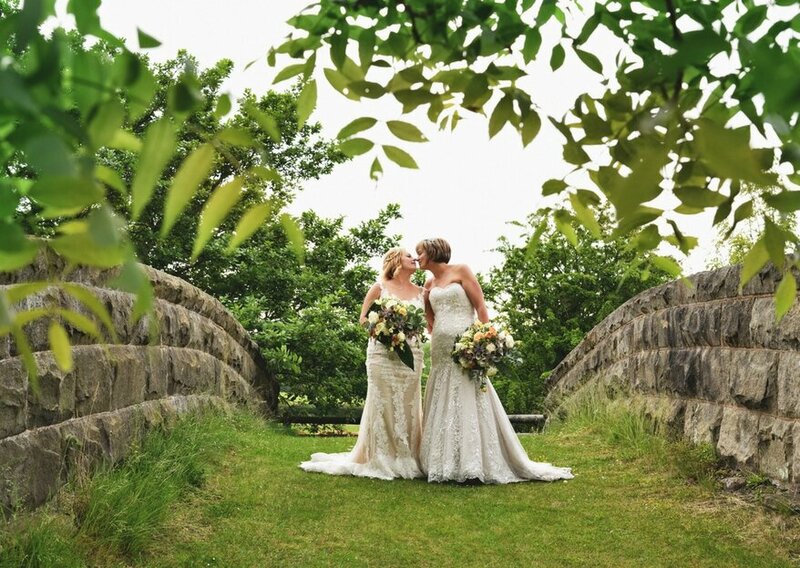 We wish Nat and Kate happiness and joy as they embark on the next chapter of their love story! Would you like to contact Wes Webster Photography?